Our front office is open Monday – Saturday from 8 am – 5 pm. What is affordable senior living? 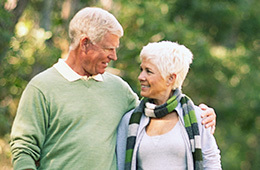 Affordable senior living is a community designed for those over 62 that meet an income requirement. Our community offers independence, security, and social engagement. Pricing options and availability can be found in our front office. Call or visit us today to learn more! Each apartment has a full kitchen and is equipped with all kitchen appliances (excluding a microwave and garbage disposal). Pets are permitted to visit, and we have specific areas for pets. If you would like a pet-friendly apartment, please contact the leasing office for options. At College Villas, we are currently adding both a beauty salon and barbershop to be opened in the next year or so. Wi-Fi Internet is provided at the community center for all residents and their guests. Please inquire at the leasing office for individual apartment service. We believe events and activities enrich our resident’s lives and have a powerful impact on the healing process. We create a fun, uplifting environment where our residents can be social, get involved, and enjoy their favorite hobbies and activities. We pass out a monthly calendar to inform each resident of upcoming activities, and copies of this calendar can be obtained at the front desk. For the safety and health of our residents and staff, College Villas is a smoke-free community. We do, however, have designated smoking areas outdoors. At College Villas, we have a full-time business office manager. Our business office manager will answer any questions you may have regarding financial or billing concerns. To make an appointment with our business office manager, please contact the front desk.